Today, voters in Maine and wolvesprotected.com/">Michigan will decide ballot measures with life-and-death significance for black bears and gray wolves. 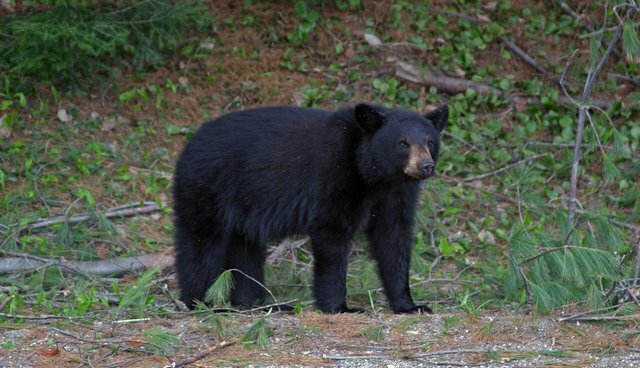 We are urging a "yes" vote on Question 1 to ban bear baiting, hounding, and trapping in Maine – the only state in the nation to allow all three retrograde practices. In Michigan, we are urging "no" votes on Proposals 1 and 2 to retain protections for wolves and to preserve the right of citizens to challenge state actions to declare protected species as "game" animals. The initiative and referendum process has a storied history in American life as a safety valve of American democracy, one that has led to a number of substantial political reforms on everything from direct election of senators to campaign finance reform to anti-cruelty standards. But increasingly, lawmakers are rigging the system to make it more difficult to use. Last week, The Daily Oklahoman, the Sooner State's largest paper, wrote an editorial lamenting that the ballot initiative process in Oklahoma is so difficult that it's basically unusable to citizens. Citizens must gather an enormous number of signatures in an extremely compressed period of time. Within the last 15 years, only one citizen initiative has qualified and then been passed by voters, and that was the HSUS-backed measure to outlaw cockfighting in 2002. In Maine and Michigan, we've not only faced very challenging signature gathering hurdles, and the financial muscle of the trophy hunting lobbies, but also the overreaching, intrusive involvement of lawmakers and state agencies and their employees trying to thwart our policy goals. In Michigan, the government's tampering with the citizen initiative and referendum process has come in a different form. There, it started with lawmakers moving the wolf from the list of protected species to the game list. In response, we then gathered 250,000 signatures to allow people to nullify the act of the legislature – a process guaranteed to citizens in the state constitution. Lawmakers, in their infinite arrogance, then passed a second law to give authority to declare game species to the seven political appointees at the Natural Resources Commission, whose actions are not subject to any referendum process. This was an overt attempt to subvert the impact of the first referendum. We then gathered another 225,000 signatures to nullify that act, and that's why there are two wolf-related proposals on the ballot. Unbelievably, the Michigan legislature then passed a third measure, bundling several unrelated measures together in a legally suspect maneuver. We believe that measure is unconstitutional, and should we prevail tomorrow and defeat Proposals 1 and 2 in tomorrow's election, we'll challenge it in court. But, in a continuation of their arrogant claims, now the proponents of Proposals 1 and 2 are telling the public that their votes don't matter, and that tomorrow's election is little more than a straw poll. This continues their disdainful attitudes toward voters. If we defeat Proposals 1 and 2, two actual state laws will be nullified. What's more, every party knows that the debate over trophy hunting of the state's small population of wolves will continue, and these votes tomorrow will be the best measure of where the public stands on the issue as the debate moves ahead. We know that trophy hunters and their allies in the Legislature want to ignore those results, but we won't let them. The bottom line is, ballot initiatives are difficult to qualify and even more difficult to pass, as we've found time and again as we've had to take on monied interests and the heavy hand of the state. We've had an incredible track record of qualifying and passing these measures, but that record should not obscure the degree of difficulty we face. That's why, in the rare cases where we lose, we have to keep coming back until we prevail. The right to vote, whether for candidates or issues, is a bulwark of our democracy. The people who work to erode it by subverting citizen lawmaking or by engaging in improper electioneering are working against the very basis of our civil society and they are undermining the rule of law. We won't sit by and let them engage in such mischief without a fight. P.S. I'm be posting live updates about the election on my Facebook page. Please join the conversation by "following" my page (I'm not able to accept friend requests).